If you truly want to draw attention to your business and potentially attract a whole new variety of customers, there are few better ways to accomplish this than with a great marketing event. Regardless of the type of industry that you’re in, a marketing event is a great way to get a hold of some people who wouldn’t normally have your business on their radar. To accomplish this, however, you need to keep a few key things in mind. One of the most important things to remember about a successful marketing event is that you need to give people an experience that is truly worth leaving their homes for. Getting a person to open up your direct mail material is one thing – after all, you’ve sent it directly to them and they don’t even have to get in the car in order to open it. Getting them to come to your physical location, possibly for the first time, is something else entirely. Consider a marketing event that a bookstore might have. Instead of just holding a blowout sale (as a customer can typically find similar prices online if they look hard enough), a bookstore might hold a signing with a famous author. Suddenly, you’ve given those people a reason to actually come into the store, especially if the author isn’t one who makes local appearances very often. Once all of these people are in your store, then you can hit them with sales and other promotions in an attempt to increase revenue. Simply offering discounted prices should never be the most enticing thing about the event that you’re throwing, as most people won’t find it a good enough reason to attend in the first place. Another one of the biggest things to remember when creating a successful marketing event is what it is that you’re trying to accomplish in the first place. Are you looking for a way to increase existing customer satisfaction and give back by way of a memorable experience? Or are you looking for a way to reach an entirely new market? The goal that you set at the outset will dictate every choice that you make thereafter. As with all marketing techniques, one of the major goals of a marketing event is to capture leads. After all, even if you’re just looking for a fun and exciting way to give back to your existing customer base, the chances are high that one or two of them might bring some friends along with them. To truly take advantage of a marketing event, make sure that you’re giving yourself a built-in opportunity to capture contact information in the most efficient way possible. Even if it’s something as simple as giving people a chance to win fun door prizes if they fill out a contact information survey, you’ll need something to use when the event is over to keep in touch with all of the new people that you’ve attracted. These are just a few of the tips that you can use to create a memorable and successful marketing event for your business that people won’t want to miss. If you continue to hold these events on a regular basis, you will have a great chance of reaching people who you may not have otherwise been able to get to without them. Sara was excited. Her grandmother had just given her the recipe for her famous peanut butter cookies, and she could not wait to make them for her friends at school. She had never been much of a cook, but she figured that with the recipe she should be ok. After all, how hard could it be? Sara enters the kitchen and begins to gather her ingredients. She notices that the recipe says she needs two bowls, but when she looks in the cabinet and sees that she only has one, she figures that should be ok. She then sees that she needs some baking soda, but only has baking powder– that should be close enough. Sara begins to get everything into the bowls. The recipe calls for her to mix the sugar with some softened butter, so she sticks the butter in the microwave. Thirty seconds later, the the butter is just a puddle. Well, that will make it even easier to mix it into the recipe, right? Twenty minutes later, she sticks everything into the oven and triumphantly sets the timer. When she returns after the ding, she pulls them out eagerly and then stops. Wait a minute, these do not look right. They did not rise properly and just look ‘off’. Confused, Sara thought back to her cooking. Did those little details about the butter and baking soda really matter that much? She supposed so. She decided to try again the next day. Tonight, she would pick up some more butter and some baking soda. If you have ever made cookies, you most likely noted Sara’s mistakes right away. You knew that those cookies would not turn out right. Recipes use very specific ingredients because they have particular roles. If you do not use the right ingredients then the food will not act the way it is supposed to. 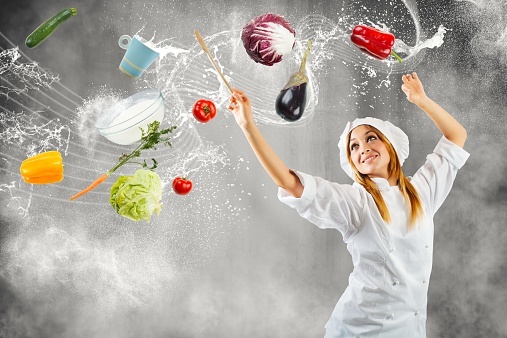 When you are creating a marketing campaign, you will similarly need to follow a recipe. The difference is that you will need to develop the recipe yourself. You know that you need a variety of different ingredients, such as direct mail, social media, online content, and paid advertising. You then need to mix these different techniques together to engage your intended audience and create the perfect recipe. Often, determining the exact recipe of success will require some experimenting. You will need to explore where your customers spend their time online and what types of information they are seeking. What types of designs and offers do they respond to best in direct mail? What social media platforms are the most important to them? Unlike with baking cookies, when you mess up a marketing recipe, it will often not be as obvious that there was an error. If most of your marketing campaign has a decent amount of success, you might not notice right away that your paid advertising campaign was not bringing in customers unless you closely monitor your different channels. If you do not identify the problem, however, you risk needlessly spending money. To be successful in marketing, you are going to combine several different techniques into a unique recipe that helps to get your message in front of the right people at the right time. To ‘taste’ the recipe, however, you need to make sure that you regularly use analytics to gauge how well the campaign works together. You can use this data to refine your efforts and become even more successful. Creating a successful marketing campaign does require careful thought and the precise combination of different parts. If you are interested in starting a new campaign, contact us today to get started. Marketing materials that you put out into the world aren’t just a great way to introduce a new product or service to your target audience. If done properly, they can also be an invaluable way to create a huge amount of buzz and anticipation surrounding an upcoming product or service launch. That can then translate into increased sales when it is eventually ready for release. By keeping just a few, key things in mind, you can use hype to your advantage and build the type of momentum that most businesses can only dream of. One of the major lessons to be learned about building anticipation for a new product or service through marketing is to master the concept of teasing. If you were still a year out from the launch of a new product, for example, you wouldn’t necessarily want to send out a mailer detailing all of that product’s functions right away. Not only do you not want to “give the game away” just yet, so to speak, but a year is an incredibly long time in the world of business. Things can change, so you don’t want to lock yourself into something that you may end up dropping down the road anyway. Instead, you can send out a mailer talking about the exciting new product that is on the horizon and detail all of the hard work that you’re putting into it. Instead of talking about what it specifically does, talk about the problem in your customers’ lives that it is designed to solve. Talk about the overarching goal of the product in a way that both gets people excited and makes them want to learn more. Another major technique to make use of when building anticipation is to check in periodically with your customers prior to launch. You wouldn’t want to send out a mailer teasing your product and then not check in again until it’s ready to launch. You would want to send out materials two, three, or even four times during the year, revealing larger bits of information each time. Not only does this give you a chance to build the hype surrounding your product or service a little more each time, but it also helps to keep it in the forefront of a customer’s mind – even though it isn’t released yet. Not only will your customers have a higher level of anticipation, but they also won’t have a chance to forget about what you’re up to. If you want to take a master class in building anticipation through marketing, look no farther than movie trailers. Every Hollywood blockbuster usually follows the same format when it comes to their previews. First, roughly a year from release, a teaser trailer makes its appearance. This preview is usually around a minute in length, gives away virtually none of the plot and really just broadcasts the look or spirit of the movie. Six or so months later a longer, full trailer is released, which is usually about two minutes. This expands on the promise of the teaser, gives a way a bit more of the plot, but still leaves a lot to the imagination. A final trailer is released in the weeks before the movie itself, which is usually around three minutes and not only lets you know exactly what the plot will be, but also showcases amazing images that you immediately need to see more of. Building anticipation is all about escalation and Hollywood seems to have created a formula that works wonders, regardless of the type of business that you’re in. Marketing is one of the best tools that you have to not only announce a new product or service to the world, but to build the type of anticipation that always translates to increased sales.